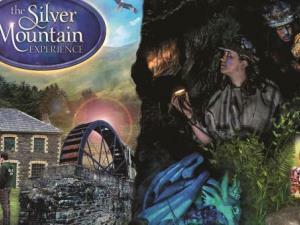 Set against the dramatic Cambrian Mountains, The Silver Mountain Experience is not your usual day out. Experience guided tour A Miner’s Life, which takes visitors on a fascinating journey through the oldest part of the uniquely preserved silver-lead mine. Explore Welsh myth and legend in our theatrical experiences such as A Dragon’s Tale and the mysterious Black Chasm (not for the very young or faint-hearted!). 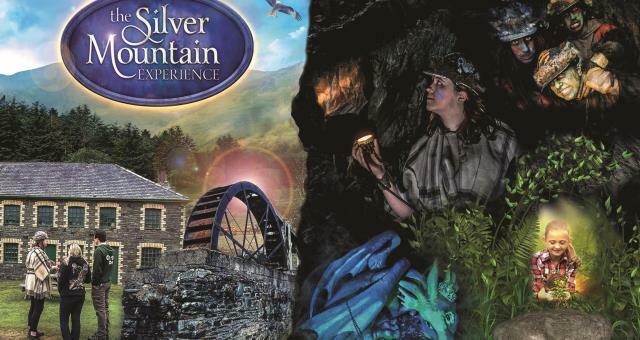 New attraction Time Lab features an interactive show for all the family, delving deep into the freaky facts and twisted tales linked to this unique silver mine. As well as our fantastic theatrics, you won’t want to miss what else we have on offer. Discover our Mining Museum, let your imagination run wild in Woo Hoo Woods, go gem panning, den building, dig for fossils and much more. With a Gift and Coffee shop and with beautiful hillside views, Silver Mountain is well worth the visit. Fully open April-Christmas with café, shop and museum & surface visit open through the winter (check website for opening times and pricing details). Want to add an extra tour? Do this when you arrive for £3 per child, £3.50 per senior/student and £4 per adult. Special rates for advance bookings for schools and groups of 11 or more. A portion of the entrance fee goes towards maintaining and preserving this unique heritage site.